10 Years as a Valued CSP Alumni! - Hope Designs Inc.
10 Years as a Valued CSP Alumni! Hope Designs prides itself on the successful home staging jobs it takes on, but that doesn’t come without hard work, dedication, and some good old-fashioned schooling! The experts behind the Hope Designs brand have all types of training under their belts, including full training provided by the world-renowned CSP Staging Academy. With a CSP International Home Staging Certificate, Hope Designs offers clients with the peace of mind and confidence knowing that they’re working with a highly qualified and trained home staging company in Toronto. CSP is the leading home staging trainer across the globe, and Hope Designs founder Lori Howard has held title with this esteemed organization for 10 years now and has been recognized accordingly. According to CSP itself, the difference between a home stager trained with CSP versus elsewhere is the results and success of its graduates. And Hope Designs does not disappoint with dozens upon dozens of successful home staging projects in and around the GTA resulting in homes being sold well over asking and within a very short period of time! Hope Designs Recognized as a Valued CSP Almuni! After being trained at CSP and holding certification with the entity for 10 years, Hope Designs has now been acknowledged as an ambassador for CSP. The home staging firm in Toronto now has an Academy acknowledgment certificate marking the company’s excellence in the world of home staging. With such an acknowledgment, Hope Designs is being hailed as a pioneer in the industry from one of the most prestigious home staging brands in the world. 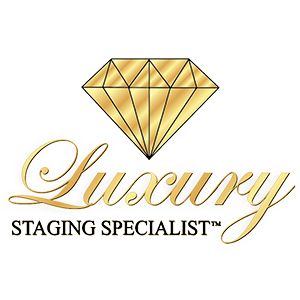 Why Work With Professional Home Stagers? When it comes to effective home staging, there’s a lot more that goes into it than just flipping through a few magazines to get some ideas. While there’s nothing wrong with gaining some inspiration this way, home staging requires a certain amount of expertise and training in order to get it right every single time. When you see a CSP logo on a home stager’s website or any other ad format, you’ll know that you’re working with a company of excellence. And that’s exactly what Hope Designs brings to the table. When it comes to selling the most valuable asset you own, it’s wise to only work with the best of the best. And Hope Design’s symbol of excellence from CSP is your confirmation that that’s exactly what you’ll be getting when you work with Hope Designs! Call us today to book a consultation to get your home primed for the market!